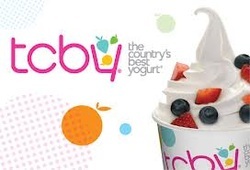 Flagstaff Academy PTO's first Community Business fundraiser was held at TCBY on Friday, February 21st from 3:00 - 9:00pm. Students and their parents crowded the restaurants first "fundraiser" event. After school got out the place was packed. Then after the Elementary vs Middle School Basketball game was over, the place was packed again with a line to the door. Many families came two times! YUM! Thank you parents and students for making this a successful fundraiser, and to the volunteers that were there helping the staff of TCBY.